Keeping up with your scheduled oil changes is one of the quickest and most effective ways you can protect the health of your Volkswagen. 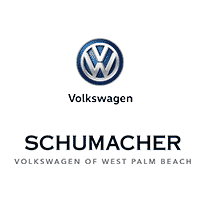 Get your oil changed by a team that knows VW vehicles inside and out when you bring your car to Schumacher Volkswagen of West Palm Beach. How do you know when it is time for an oil change? You should be able to drive about 3,000 to 10,000 miles between oil changes. To be safe, try to stay close to the lower end of this range. The oil is very dark or black in color. The oil appears to have particles floating in it. The oil level is below the fill line. Schedule your next oil change with our VW service department. Any questions about your car’s service needs? Feel free to contact our team at (844) 801-6010.